Host was very friendly and allow us to check in a bit earlier and leave luggage on the check out, what made our plans work much better. Very good location as well. We passed 4 nights at Charming Flat. It isn't far from the city center. Tramway is 5min walk. Apartment was clean, equipments were OK. Migual is so kind. He explained us how to visit Lisbon and we liked his suggestions. Nel complesso buon monolocale, con tutti i servizi . A pochi metri dalla metro. Posizione in salita ma ottima. Очень приятный владелец апарта, предложил трансфер за 15 евро, но я бы предложил вызвать такси - разницы нет, но дешевле на 5 евро. В апарте было все что необходимо - бокалы, посуда, стиральная машинка(в которой мы кстати постирали вещи), плита - на которой мы варили креветки. Есть дворик, всё как на картинке - очень мило, по дворику ходят кошечки их можно гладить)))) Как писали в отзывах обязательно купите вино Gazella - магазин налево при выходе. А если при выходе идти направо и спустится вниз будет очень интересный ресторан с вкусным меню. L appartement est très bien équipé, très propre, très bien situé. Miguel à été très prévenant et très disponible. Je recommande !! 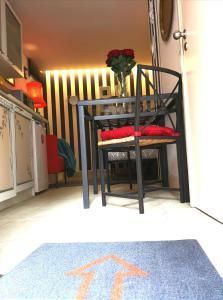 Propreté, emplacement, tout à porté de main, l'appartement était complètement meublé et il y avait tout dont on a besoin, lave-linge, sechoir, seche-cheveux, shampoing, vaisselle, machine à café, linge de salle de bain, chauffage (électrique) Aussi c'était très calme et les voisins ne font pas de bruit. Station de métro à 350m et arrêts de bus à moins de 100m. Localisation parfaite, on a pu visiter tout Lisbonne à l'aide des transport en commun. Il y avait même des tickets pour les transports qu'on pouvait chargé partout. 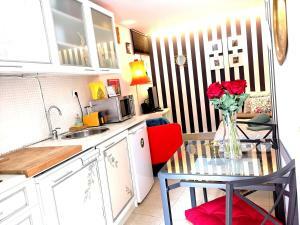 Lock in a great price for Charming Flat Village – rated 8.8 by recent guests! One of our best sellers in Lisbon! 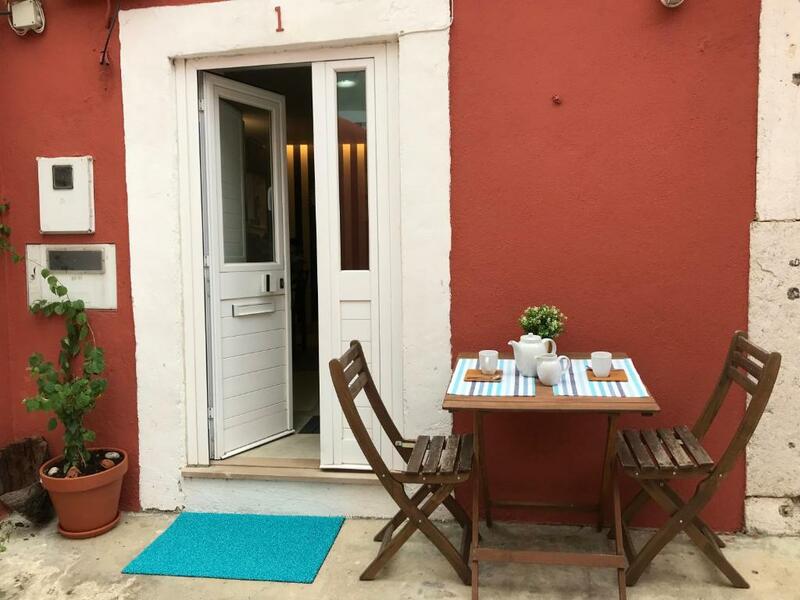 Featuring a terrace and a tour desk, Charming Flat Village is well set in Arroios of Lisbon, a 17-minute walk from Liberty Avenue and 1.1 miles from Miradouro da Senhora do Monte. The property was built in 1940, and has accommodations with a patio and free WiFi. Rossio Square is 1.1 miles from the apartment, while Dona Maria II National Theatre is 1.2 miles from the property. 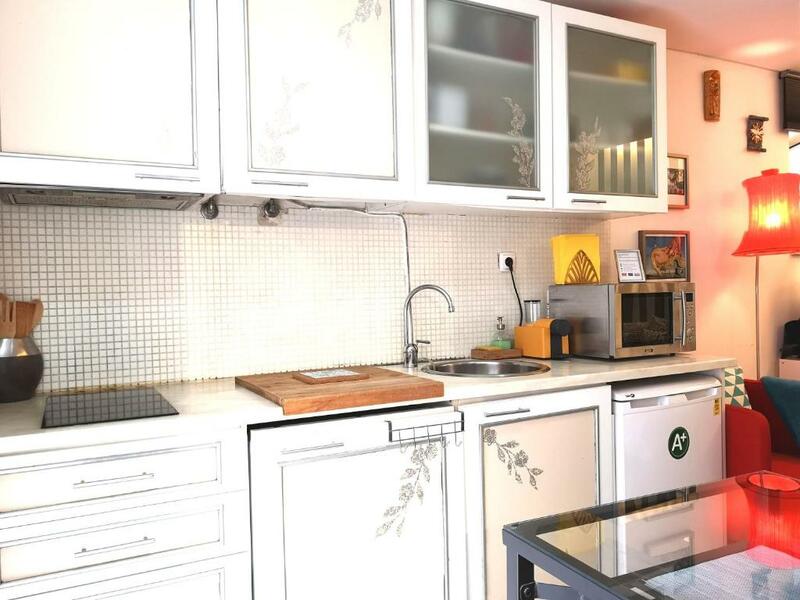 뀐 Located in the real heart of Lisbon, this property has an excellent location score of 8.7! 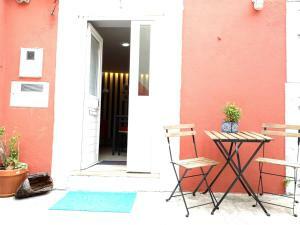 When would you like to stay at Charming Flat Village? 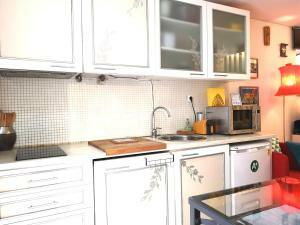 A Charming and cozy apartment in a very quiet traditional PORTUGUESE village situated in the center of Lisbon. Ideal for those traveling alone or accompanied. 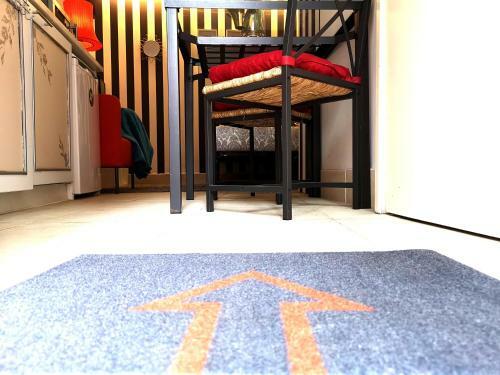 The house has everything you need for your stay in the city. 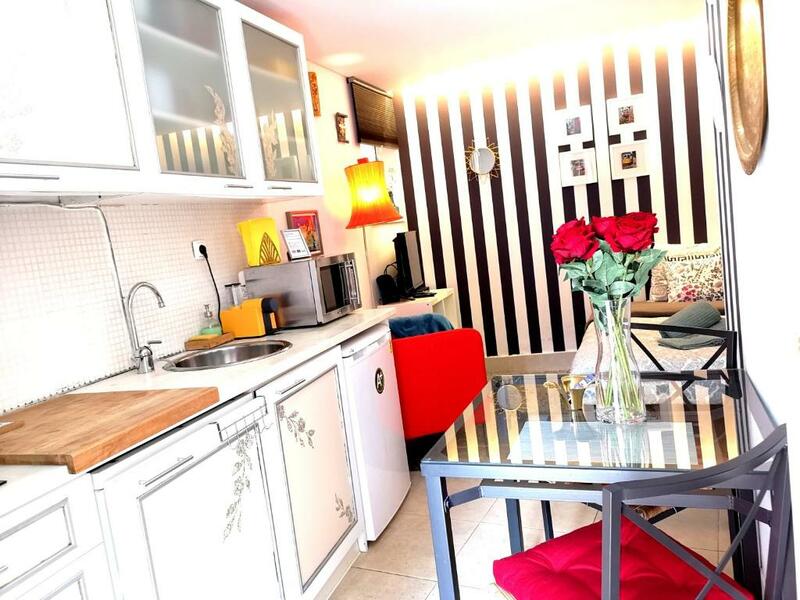 You can have meals indoors or in the patio of the village where you will enjoy the fresh air of the neighborhood, the blue sky that covers the city and the wonderful sun that warm Lisbon. 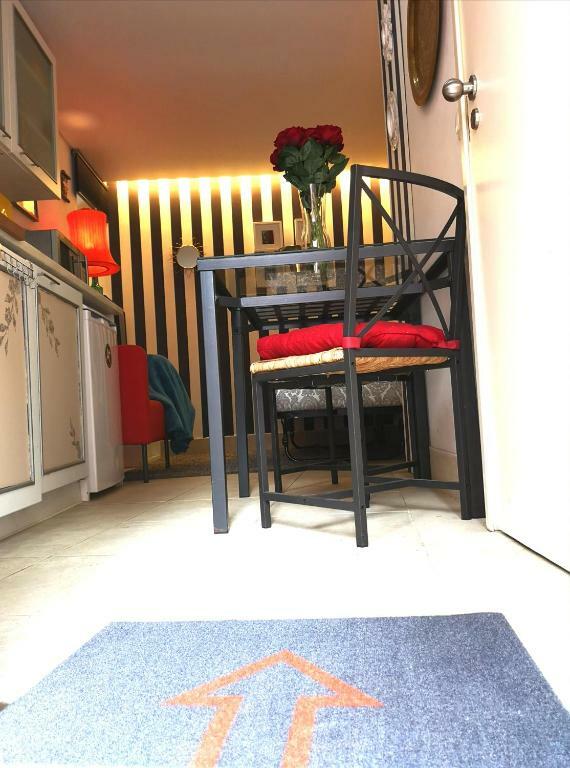 The Flat is situated in a historical area of downtown Lisbon 5min from the metro station INTENDENTE a typical neighborhood recently restored. Next to the Flat you can find some of the main places of interest such as "GARDEN OF THE TOREL" with a panoramic view over the city and a small urban beach about 5 min. THE "CAMPO MARTIRES DA PATRIA" a delightful garden with lakes, small animals, sports court and kiosk to enjoy a breakfast. Just around the corner you can find a supermarket served with everything from fruits, fresh fish, vegetables and meats. Typical restaurants and vegetarian, a vintage cafeteria next to the village "O LOGRADOURO" just walk another 10 minutes and you will find the MARTIM MONIZ SQUARE metro station 9 min right in the heart of the city. Area Info – This neighborhood is a great choice for travelers interested in monuments, walking and city walks – Check location Great location - show map Guests loved walking around the neighborhood! House Rules Charming Flat Village takes special requests – add in the next step! Would be nice to have a little more sunlight inside, but still was fine. There was a strange smell in the appartment but I think it is the case of whole city of Lisbon.